These are affiliate links and NutritionGang earns commissions if you purchase these products. Growing healthy hair at a steady pace is more than just taking care of your hair on the outside; you need to take care of it on the inside as well. This involves eating a healthy, well-balanced diet, drinking plenty of water, and providing your body with essential vitamins and nutrients that promote hair growth. A variety of vitamins have been proven to allow hair to grow at a normal pace, but it will often grow even faster than the average speed. Aside from the faster growth, you will also notice your hair has become soft, shiny, and healthier overall. Biotin, which is also referred to as Coenzyme R or Vitamin H, is a water soluble vitamin often included in B-complex vitamins as B7. Biotin helps to maintain cell growth, the production of fatty acids in the body as well as the metabolism of amino acids and fats. Often called the “hair vitamin”, Biotin is known to provide an increased rate of hair growth and improved hair quality, preventing dry, brittle, and fragile hair, and adding more shine and body. The recommended daily dose of Biotin is 30mcg for men and women. As one of the most important B-complex vitamins, B12 offers a variety of health benefits including improving brain and nervous system function, and producing high amounts of energy. Additionally, B12 has been shown to increase the health and growth of hair follicles dramatically when adults take the daily recommended dose of 2.4mcg. It is also recommended that you take a sufficient amount of iron and vitamin C each day to allow the absorption of B12. Niacin, also known as B3 and one of the B-complex vitamins, is a water-soluble organic compound that helps to improve circulation throughout the entire body from your head to your toes. Due to the improved circulation it provides to the scalp, Niacin helps the health and growth of hair follicles and has been known to work its best when combined with Biotin. The recommended daily dose is 16mg for men and 14mg for women. Also known as L-ascorbic acid, vitamin C is an essential nutrient for children and adults, and is named one of the most important vitamins needed for a healthy body. Vitamin C is an antioxidant that protects the body from a range of illnesses and medical conditions. It also has great benefits for improving hair growth and health, as it reduces dry, brittle, and premature graying hair. The recommended daily dose of vitamin C is 90mg for men and 75mg for women. It can come in tablets to swallow or to chew and in other enriched products. Vitamin E is an essential vitamin for the production of hair growth and growing healthy hair follicles. This vitamin is a fat-soluble antioxidant that puts a stop to the production of reactive oxygen species formed in fat in the body, and like other antioxidants, it helps to improve overall health. Due to the increased circulation to the scalp and the new blood vessels that grow after taking vitamin E, it improves hair growth and reverses hair loss. The recommended daily dose of vitamin E is 10mg for men and 8mg for women. Vitamin D, found in many whole dairy products, improves the overall heath of your body, including your scalp and thus your hair growth. Vitamin D has additional benefits as it helps your body to absorb calcium, which is another important element of growing healthy, shiny hair at a steady pace. The recommended daily dose of vitamin D is 5-10mcg for men and women. If you have been suffering from slow hair growth, hair loss, or dry and brittle hair, then a lack of vitamin A may be the culprit. Vitamin A stimulates your hair follicles and improves the production of sebum in your scalp. Together, these benefits help improve the health and vitality of your hair, as well as reducing the risk of hair loss. The recommended daily dose of vitamin A is 1000mcg for men and 800mcg for women. Vitamin A is found in many over-the-counter supplements. 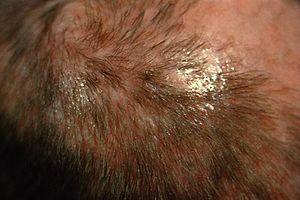 Zinc is also responsible for the production of sebum in your scalp, as well as cell regeneration and the production of protein synthesis in your body. By taking the recommended daily dose of 15mg for men or 12mg for women, you will notice an increase in healthy hair production and an improved rate of hair growth. These are in the vitamin and mineral aisle of any pharmacy, grocery, or health store. Lastly, iron can make a big difference in your rate of hair growth and increase the health of your hair follicles. As one of the most essential nutrients a person can have for a healthy body, iron is an important part of growing healthy hair. If you suffer from dry, brittle hair along with muscle weakness, anemia, and insomnia, you may have low iron levels. By taking the recommended daily dose of 10-15mg a day of iron, you will seen a vast improvement in hair growth. Iron can be readily found over-the-counter in chewable and tablet form.